‘Carving Communities in Stone: Inscriptions as a Medium of Hellenistic Globalisation’ (working title) is an individual PhD project, funded by the Dutch research council (NWO) that runs from September 2015 to 2020. It is conducted at the University of Groningen under supervision of Professors Onno van Nijf (Chair of Ancient History), Luis Lobo-Guerrero (Chair of History and Theory of International Relations) and Graham Oliver (Brown University, Professor of Classics). An impression of the area of study, including some new city foundations. Click to enlarge. After the death of Alexander the Great, his empire fell apart under various kings. After this fragmentation, the Greek world would never again reach political unity on a similar scale as under Alexander’s leadership. Yet increasingly, the various existing and newly founded cities in this enormous area started to connect with each other. Greek temples, theatres and market squares came to dominate the civic environments of new as well as old cities throughout the area of Alexander’s conquests, and Greek political structure as well as the Greek language became the norm in many of them. The idea for this project was born from the realization that at about the same time, the Hellenistic world saw an enormous rise in the production of inscriptions that record contacts between Greek cities. Good examples of such inscriptions are records of cities exchanging judges and of official festival visitors, records of arbitration in conflicts between cities, and honorific decrees for citizens of other cities. Written in Greek and remarkably uniform in shape, formulas and idiom, these inscriptions are yet another hallmark of the cultural integration of the Hellenistic world. 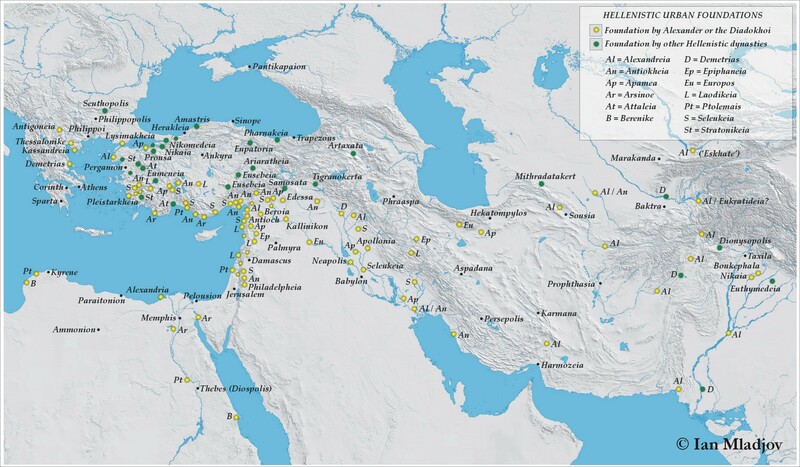 Simultaneously, they show how many cities, despite the hegemony of Alexander’s successors, still claimed a certain amount of autonomy. Although collaboration in political or military matters was often impossible, and a certain amount of rivalry still existed, cities clearly used the available institutional instruments – and even developed new ones – to forge relationships between them. 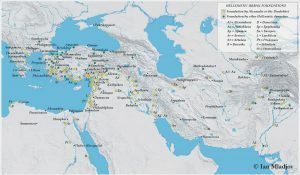 My research aims to contribute to our understanding of the development of this connectivity and uniformity between cities in the first part of the Hellenistic period (ca. 330-150 BCE). Since inscriptions were an important medium for inter-city contacts in this period, my central question is what function these textual monuments had in this community-building process. How did publishing texts on stone contribute to the cultural convergence and connectivity of these cities? How did inscriptions promote the creation of a sustainable Greek community, despite the lack of political unity? I will interpret these developments from an innovative theoretical framework. A concept like globalization, for instance, usually used for large-scale cultural convergence in the modern world, may be useful in interpreting the processes at hand in the Hellenistic period. The notion of mediatization, the idea that a society in which a particular medium is increasingly used is shaped by it to a certain extent, could on the other hand help us understand the function of inscriptions in this process. Another important concept for my research is Benedict Anderson’s imagined community, which poses processes through which a group of which the members do not necessarily know each other can still feel connected in a way (like the modern nation). If an inscription was published in all three cities involved in an arbitration case, as well as in an interregional sanctuary, what does this say about its role in inter-city contacts? (map with F.Delphes III.4.355, ca. 145 BCE). The research will be based on a collection of a large number of inscriptions, and will focus on various aspects of their publication and phrasing. Some inscriptions, for instance, were published in multiple cities at once, which directly draws attention to their function as a medium. But how did this work, in a society where literacy was probably not widespread? A starting point for understanding the greater impact that inscriptions had is looking at the way in which they played a role in daily city life. An important aspect is, for instance, their prominent presence in the city, always in the vicinity of sanctuaries and public buildings. To better understand how inscriptions thus helped to structure, order and define relationships and diplomatic processes, I will contrast and compare this process with modern ideas on international relations. By shedding light on the function of inscriptions in Hellenistic inter-city relations, my research not only contributes to our knowledge on the Hellenistic world, but also to our understanding of cultural globalization in general, and the creation of communities that cross national borders. A prime example is the contemporary idea of a collective European identity, and how it could take a sustainable shape in the context of diverse cultural influence.